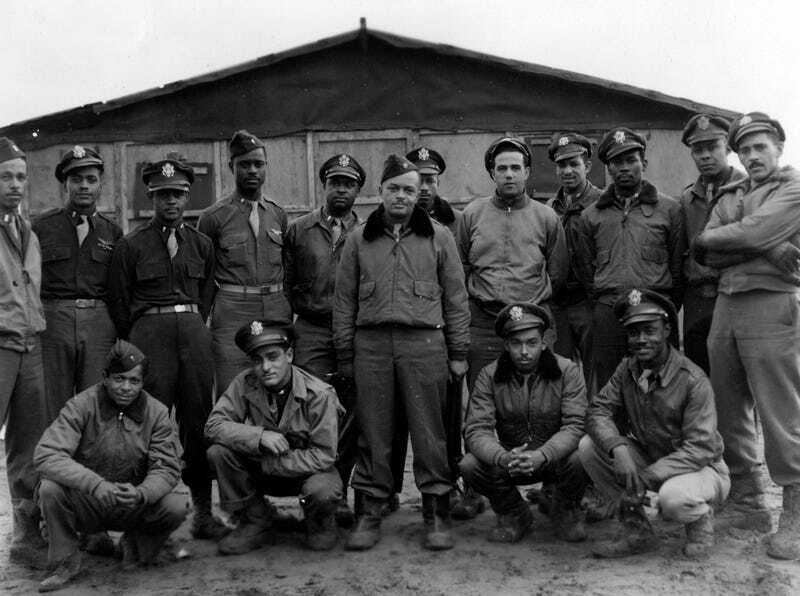 Brief history lesson: The Tuskegee Airmen were an elite, but largely unnoticed by history, squadron of African-American pilots who fought in World War II. So named for the Tuskegee Institute in Alabama where they trained, the pilots were not allowed to train with other military personnel because of segregation laws at the time. It wasn't until First Lady Eleanor Roosevelt flew on a test flight with one black pilot that the military finally allowed them to participate in combat assignments during the war. The end of the war dovetailed with the Great Migration of African-Americans to the North, so several former pilots found their way to Detroit, Lansing, Saginaw and other Michigan cities — often to work in the auto plants here. Many a Motor City youth may have been invited to special events with Tuskegee war veterans during Black History Month, or were lucky enough to attend church with a pilot or have a neighbor with a display case full of military honors. 89-year-old Jesse Rutledge came to Detroit while serving the country and lived in the city most of his life. Rutledge was leaving his barber shop near Van Dyke and Harper when a group of men who were hiding in a nearby abandoned building approached him. "They put the gun right up to my face, right up there," says Rutledge. "So I did what he said." Fortunately all four teens were captured and arraigned, but that does little to stem uptick of the crime against Detroit's elderly. Last year, another 80-something WWII vet was beaten and robbed at a gas station (not to mention a former Chrysler factory employee, too), while a pair of 80-something siblings were recently attacked and carjacked as well.